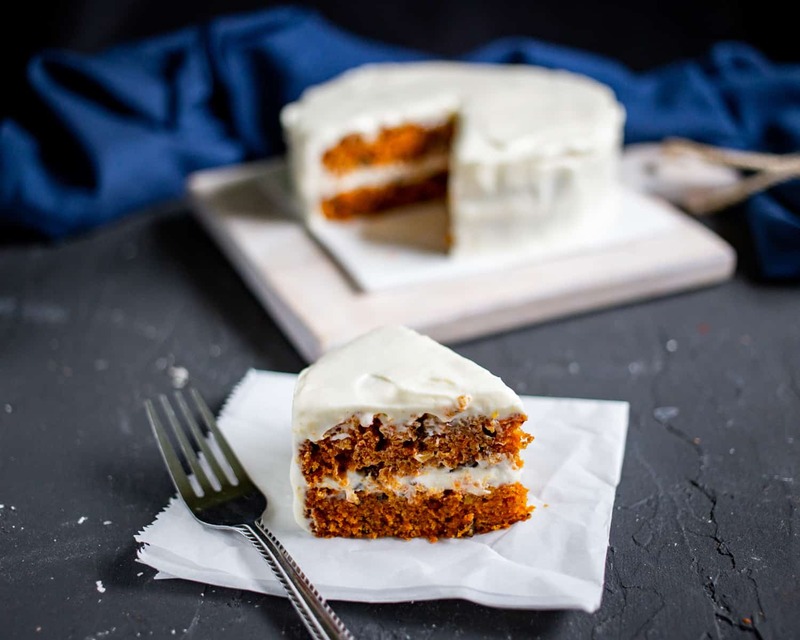 A recipe for a flavorful, spiced mini carrot cake with fluffy, whipped cream cheese frosting. After weeks of anticipation, I was finally standing in front of the display case at French Broad Chocolate Lounge in the heart of downtown Asheville, NC. 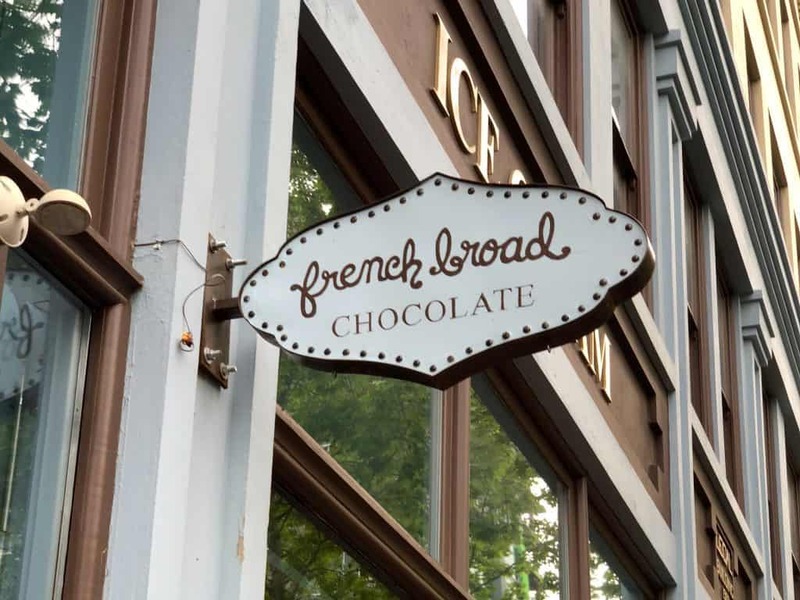 In the two vacations I’ve taken to Asheville, this was my third visit to French Broad Chocolates and I knew it would not disappoint. 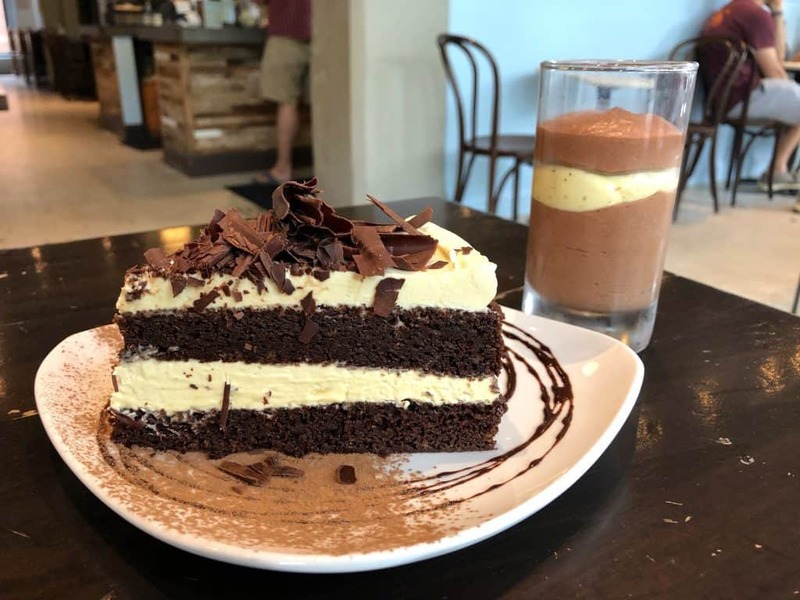 The display case featured every kind of chocolate concoction imaginable: truffles, cake, pot de creme, mousse, ice cream, drinking chocolate, you name it; but on this particular visit what appealed to me most was the beautiful, layered carrot cake with cream cheese frosting. Since I was in a store that specializes in chocolate confections, my husband and I chose a chocolate cake and a chocolate mousse to share and both were amazing. But ever since that trip to Asheville I’ve been craving carrot cake, so I decided to make some for myself. With just two people in my household, a full-size cake leaves far too many leftovers, so I didn’t use to make cake very often, until now… inspired by the mini desserts on one of my favorite blogs, Dessert for Two, I bought a mini 6″ cake pan which is perfect for small 4-6 serving cakes. I use this 6″ cake pan for this recipe. If you’re serving more people, you can double the recipe and use a 9″ cake pan instead. The only change you’ll need to make is to increase the baking time a bit. To make the carrot cake, start by preheating the oven and preparing the pan by greasing the bottom and sides with shortening or cooking spray and then flour. I tried the lazy route using just cooking spray without flour for one batch of the cake and had issues with the bottom sticking to the pan. To make the batter, mix all of the cake ingredients together in a large bowl (I love one bowl recipes!). Pour the batter into the prepared pan and bake for 28-32 minutes. After the cake is done, allow it to cool completely. When the cake is almost cool, start on the frosting. Make sure the cream cheese is completely softened, otherwise you’ll end up with chunky frosting. Start by beating the cream cheese and sugar until completely combined. Then add vanilla and salt and gradually incorporate the heavy whipping cream until soft peaks form. 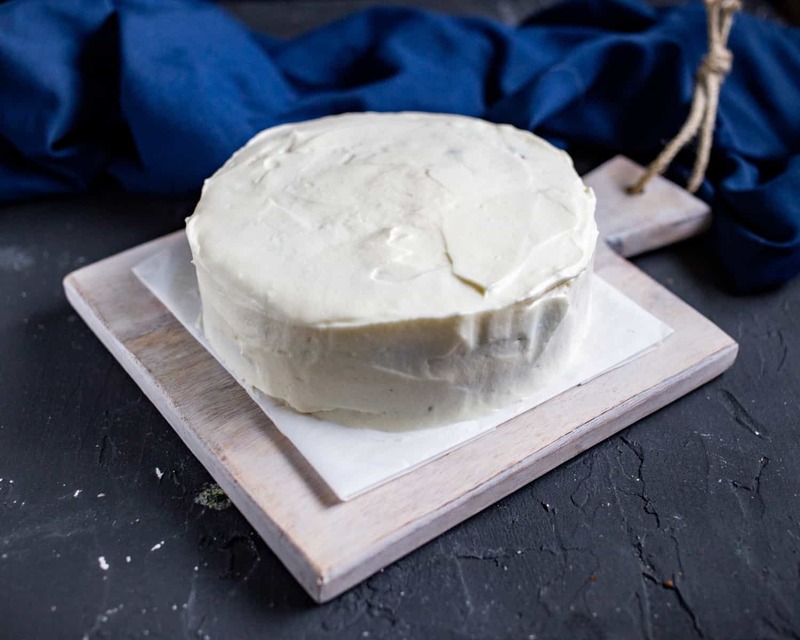 Then frost the cake: to make a two-layer cake, gently cut through the cake using a serrated edge knife. Place the bottom layer on your cake plate, add a dollop of frosting and spread it out. Then add the top layer and frost the top and sides. You can serve right after frosting like I did the first time I made this, but it’s even better after about an hour of refrigeration. 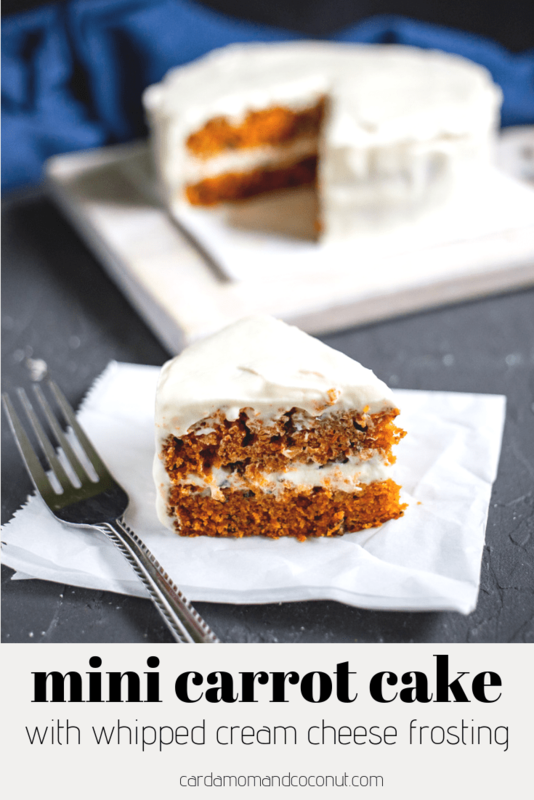 If you try this mini carrot cake recipe, leave a comment and review below if you try this to let me know what you think! 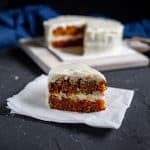 A flavorful, spiced mini carrot cake with fluffy, whipped cream cheese frosting. Grease bottom and sides of a 6 inch round cake pan (like <a href="https://amzn.to/2ynpQoM">this one</a>) with shortening or cooking spray and lightly flour. Shake out the excess flour. Mix the egg and sugar in a large bowl with a wooden spoon for about a minute. Add the oil and mix for another minute. Then add the flour, ginger, cinnamon, nutmeg, baking soda, vanilla, and salt and mix well. The mixture will be pretty dry at this point. Add the carrots and walnuts or pecans. Mix through completely, then pour into the prepared cake pan. Bake for 28-32 minutes until a toothpick placed in the center comes out clean. Remove the cake from the oven and place on a wire rack to cool. After it's cool enough to handle, place a large plate on the top of the cake, flip the cake onto the cake. The cake will release from the plan. Then place another large plate on top of the cake and flip again to get the cake facing up. Make sure the cake is completely cooled before cutting. While the cake is cooking, prepare the frosting. Beat the cream cheese with the sugar for about 2 minutes in a mixer, stopping to scrape the sides with a rubber spatula every 30 seconds. Add the vanilla and salt and beat for another 30 seconds. Gradually add the cold whipping cream by slowly drizzling down the side while the mixer is on medium-high speed. Beat until soft peaks form. Use a serrated edge knife to gently cut off the rounded top. Then use the knife gently slice halfway through. I found it easiest to slice in a bit around the perimeter and then cut all the way through. Place the bottom layer of your cake on your serving plate. Put a large dollop of frosting on top of the layer and gently spread around using an offset spatula or the back of a large spoon. Place the second layer of the cake on top of the first. Put another large dollop of frosting on the top and gently spread over the top layer and around the sides. After the frosting is evenly distributed, then smooth it out. Cool the cake in the fridge for about an hour before serving - you can serve right away, but it's even better cold. Note: Double the recipe to make a 9-inch cake. Increase the bake time by a few minutes. Wow this carrot cake is really very tempting. I love baking and would definitely try this out. Absolutely LOVE carrot cake and your version looks so delish!! Carrot cake happens to be my favorite — it’s one I have every year for my birthday, but we’re only two in the house so having a big cake around isn’t a good idea. Love the 6″ version you’ve made here. Exactly! Just big enough to satisfy my cravings. This looks absolutely decadent! I love carrot cake and yours looks like it would be the best tasting I ever had! This cake looks absolutely mouthwatering!! And that icing?? SO amazingly fluffy! I just love carrot cake! And that frosting looks amazing! Thanks! I think it’s my new favorite frosting, so tasty and fluffy! I’m a huge fan of carrot cake. I love that you made a mini! I can’t wait to recreate this recipe! Thanks! Carrot cake is one of my favorites, especially with cream cheese frosting! 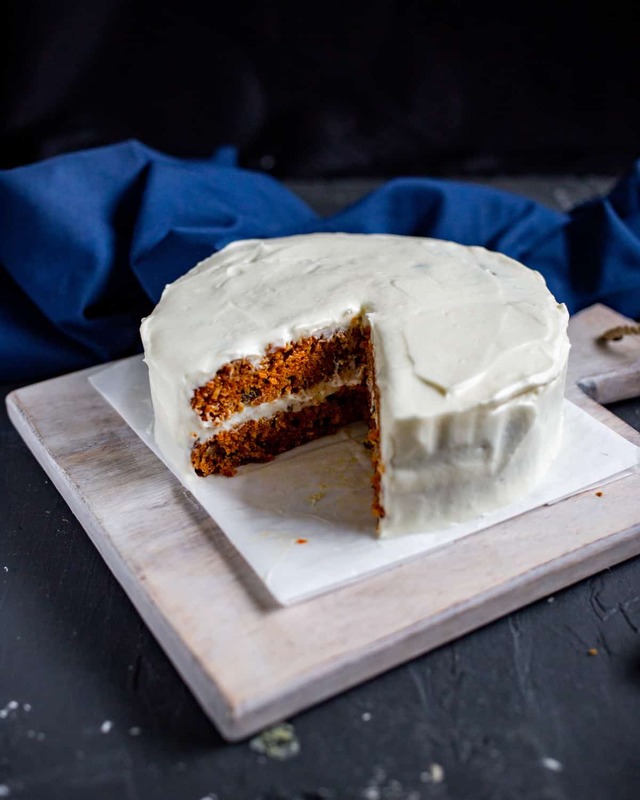 I love carrot cake and this looks lush – though your story about the chocolate cafe has made me curious as to what a chocolate carrot cake would taste like! Those 6″ cake pans are incredibly handy to have. This cake is a glorious colour and the frosting sounds delightful. Great minds think alike! 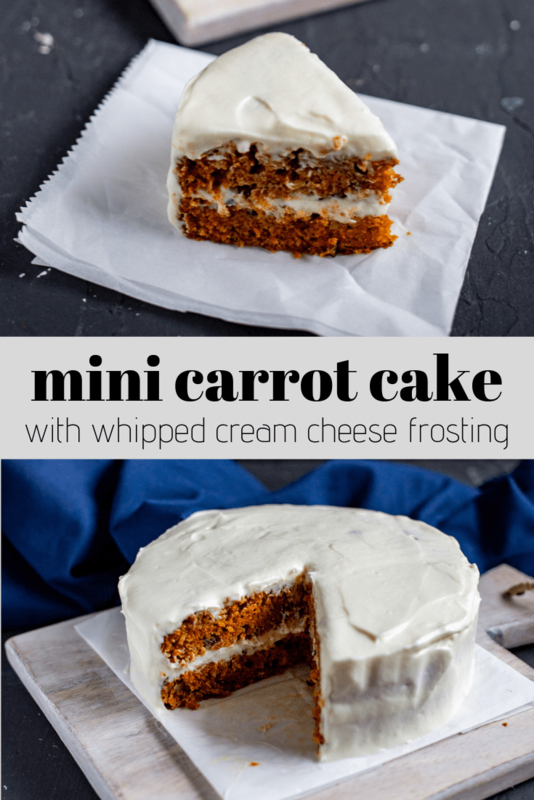 Your mini carrot cake looks delicious! This carrot cake looks delicious! I love a good whipped cream cheese frosting as well. Yum! Carrot Cake is pretty much one of my most favorites! Delish! I’m a big fan of carrot cake. This mini cake looks so delicious and fluffy! I love the cream cheese frosting too. It’s my fav. Carrot cake is one of my all time favs. I can almost taste this it looks so good. Beautiful!